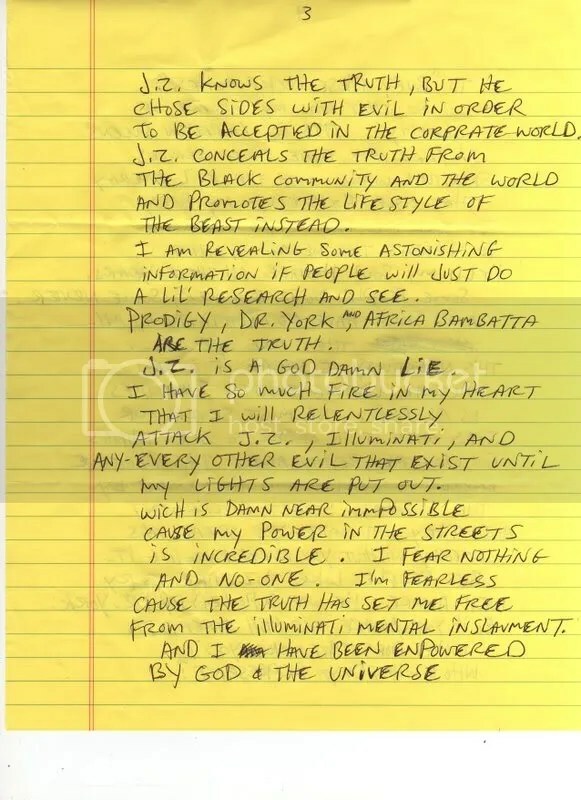 Thanks thiis50.com for this, very original posting the actual letter. 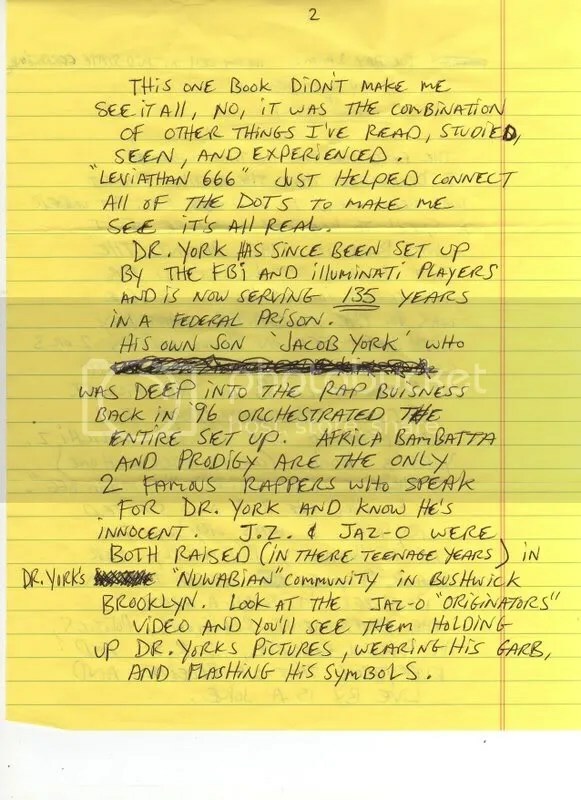 I know Prodigy is locked up and he a lots of time in his hands to think and be mad, but seriously, forgive Jay-Z already, Nas did. Prodigy is a street dude and all, but dude is a great talented rapper. Start focusing on staying out of jail and make more music P..
~ by playmakerz123 on November 4, 2008. “Niggaz” don’t know, and don’t want to know the truth. What you speak of is the true Matrix. The Matrix movie screenplay was adapted from “The Third Eye” by Sophia Stewart, stolen from her during a Hollywood pitch meeting with the wachowski brothers. Ms. Stewart wanted to wake people up from the REAL matrix as you are doing right now. It takes courage begin this journey of discovery which will not be found on TV. Moreover, it takes effort and discipline to live within the truth of this realization. The average person would rather run with the pack in ignorance of truth, hoping that the lies will morph into reality, making it all ok in the end. I also have come to your realization not from a single book or video, but by my own experience and studies of sources different from yours, but confirming the same conclusions. There are many of use who are aware of the truths you have shared, but many more lulled into the spells cast by prominent people in our society. I have been the only person i know until reading your letter, to make these charges against JZ, who has unfortunately become a talented tongue of the Luciferians. JZ actually celebrates this relationship he has with evil energy in most of his music. Most of his fans repeat his lyrics, creating programs of autosuggestion (self-suggestion), shaping the collective consciousness of the masses of youth through emotionalized repetition. “zeitgeist – the movie” for free on youtube.